What’s Happening in CAMBA Country This Summer? In a couple of words – a lot! 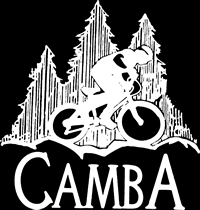 It’s officially summer mountain biking season here in the Northwoods and with it, the many events that utilize the CAMBA trails have begun. In the past 5 weeks, the CAMBA trails have played host to: CAMBA Spring Work Day (May 12), Gateway Trail Fun Day (May 20), Women’s Weekend MB Clinic (June1-3), Borah Epic (June 9), Birkie Youth MB Clinic (June 10) and the Chequamegon 100 (June 16). The Borah Epic alone sent more than 700 riders zipping through the CAMBA singletrack network. The CAMBA trail network, which now spans more than 120 miles of purpose-built singletrack, has become a mountain bike destination because of the hard work, sweat, and vision of hundreds of people over the past 25 years. The summer trail building and maintenance season is filled with projects, both recurring annual tasks, as well as new and exciting building opportunities. A considerable amount of effort and passion is put into the CAMBA trail system. Each season brings a new list of projects, both new trail development and an extensive list of maintenance tasks. Here are some of the highlights to look forward to this summer. One of the most significant projects in the line-up this summer is the continuation of the Hospital Gateway Trail. Located on the property of the Hayward Area Memorial Hospital, this trail is aimed toward beginner level riders, but offers a fun, scenic ride for riders of any level. Phase 1 of this collaborative trail project was completed last season with roughly 1.4 miles of trail built by Travis Bellman from Minocqua. As the closest singletrack for Hayward residents, it has already become very popular, and drawn in new riders with a wide range of ages and abilities. Even riders who prefer more advanced riding have appreciated having a quick ride so close to town (accessible via the paved bike path and through the HASTA network of ski trails). Phase 2 of the project is currently underway, with hopes of adding up to 2.5 miles of additional trail this season. The current construction follows the existing trail format with a wide tread (36”-48”), minimal rocks, flowing banked curves, and plenty of scenery. The final proposed segment of trail will be constructed in 2019, with a goal of completing a total of roughly 6 miles of trail on the Hospital property. For the very latest on the Gateway Trail, see this report by Chris Young. Dirt is continuing to move up at the Ashwabay trails, as Phase 3 of construction is underway. Phase 3 consists of a final 6-mile segment of trail that will bring the total mileage of the system to 20! A combination of the dynamic duo of Adam and Mica Harju from Dirt Candy Designs and the highly dedicated volunteer work led by Mike Weispfenning will hopefully see the completion of this project. The Ashwabay system offers riding unique within the CAMBA system, highlighting the natural topography that includes some technical downhill lines, incredible views of Lake Superior, and even a trailside yurt for an overnight adventure. If you haven’t already, it’s well worth taking a trip up north and see the future of CAMBA being built! One of the most exciting features added to the CAMBA network last season was the Spiralizer, a corkscrew boardwalk and the corresponding segment built by the fine folks at Dirt Candy (they stay plenty busy). We’re so appreciative of the work they’ve done that we decided to name the trail after them. There’s a detailed write-up detailing the character and technical aspects of the trail on the CAMBA website. We hope to advance into the next phase of this amazing piece of trail this season, depending on how quickly work can wrap up at Mt. Ashwabay. A connection between Ojibwe and Esker trails will allow a rider to traverse continuous singletrack from Hatchery Creek to the Namakagon Town Hall, roughly 65 miles on the most direct route and around 80 including several of the loops, without overlap! This will be one of the longest connected singletrack trail networks in the United States. 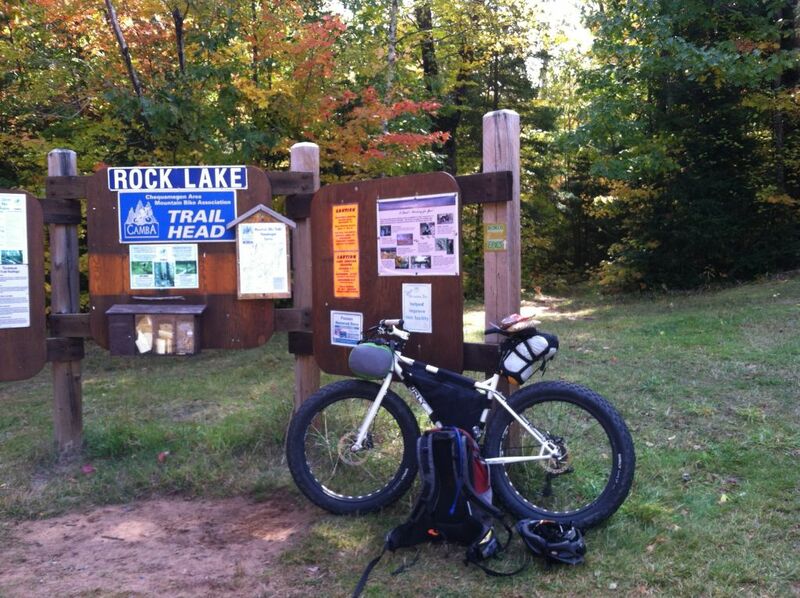 Among the oldest and most well-known trails in the network is Rock Lake. Located in the Chequamegon-Nicolet National Forest and one of a select few IMBA Epic Routes, it features narrow, winding trails and enough rocks to earn its namesake. As the trail has aged, however, it now requires substantial maintenance, particularly on the earliest built segments where both siting choices and construction have not sustained well. Thanks in part to a grant from the National Wilderness Stewardship Alliance, there are funds dedicated to the improvements of the trail. The projected remediation carried out by the CAMBA paid trail crew will address issues of drainage and sustainability and improve the overall ride quality while retaining the technical nature of the trail. Fear not, there will still be rocks on the Rock Lake Trail. In the Drummond Cluster we have abandoned the routes north of Hwy N and west and east of Delta-Drummond Road. These are all gravel routes and do not see a lot of use, and even less maintenance. Drummond Cluster maps have been revised to reflect these changes. While new trail construction projects are the “glamor” of the trail season, what really makes the trails top notch is how well they are maintained. Hundreds of hours are spent each year maintaining the entire trail system. A full range of maintenance tasks throughout the year are performed by key volunteers and trails stewards and during the summer by a paid summer crew. The crew started in part in May with a small group tending to leaf blowing, bike park maintenance, brushing and trail clearing. The full crew hit the ground running on June 4 and have already addressed a number of key projects including several small tread improvements on Ojibwe and one larger reroute and will be moving on to work across the CAMBA system. We are particularly fortunate this year to have five of our six-member crew returning from last year. Their experience and team attitude have really made life easy planning trail work and deploying the crew. We are also very fortunate and extremely grateful to Timber Ford for sponsoring two Ford 150 crew cab trucks to move our guys around the system as they do their work. In addition to traditional maintenance tasks of: leaf blowing, brush clearing and branch trimming, mowing, deberming trail edges and restoring drainage, rerouting trails to improve sustainability and quality of riding, removing fallen trees, grooming winter fat bike trails, replacing and/or adding signage, repairing or modifying wooden boardwalks and rock ride-overs, maintaining both dirt and wooden structures at the bike park – among a host of other minutia to keep the trails well-tuned, a couple of projects bear specific mention. A trail system as large as the CAMBA trails requires a lot of standard and custom signs. This is a constant challenge and this year we will be stepping up our efforts to bring signage up to snuff, including: replacing aged directional signs on the local highways, replacing You Are Here maps/signs in Namakagon, Cable, Seeley, and Hayward, new YAH maps at Mt. Ashwabay, and other custom signs across the system. Maintaining proper drainage on the trails is perhaps the most important of all maintenance tasks. As trails age they inevitably compact in the center of the trail where most people ride. Over time this begins to defeat the natural drainage of the trail that was built in when the trail was first constructed. Some of this is simple hand work, albeit a lot of it, but in areas where the trail is a little wider, this year we are trying a new approach – a micro/mini-excavator that will allow us to work on some of the trails to both deberm (remove the downhill edge to restore drainage) and build grade reversals (shallow dips in the trail tread to encourage water to leave the trail) on longer segments of trail where the grade is slightly steeper. We are fortunate to have received the donation of the use of a Caterpillar 300.9D mini-excavator for the summer from our friends and long-time sponsor Ziegler CAT. Two of our trail crew members have received training on the excavator and will be performing this work. Indeed – there’s a lot going on in CAMBA Country this summer. Part of this report was prepared by CAMBA board member Ian Finch and originally appeared in the New Moon Bike Shop newsletter.